With seating for up to nine people, substantial towing capacity and aspirational appeal, GM's biggest family haulers have in the past accounted for more than 60 percent of full-size SUV sales. GMC's version, the 2010 Yukon, bridges the gap between its Chevrolet Tahoe and Cadillac Escalade siblings with a lineup that includes a base model priced similarly to the Tahoe, as well as a distinctive Denali model that can approach Escalade prices when fully loaded. While the faithful Yukon continues to serve millions of families well, the impressive 2010 Yukon all but antiquates the previous generation, which seems light years apart in styling, quality and interior materials. Even if you don't need its maximum seating or towing capacities, the 2010 GMC Yukon shines on enough levels to satisfy the needs and tastes of almost any full-size SUV buyer. That it also has some of the category's best fuel mileage is a definite plus, as is the optional hybrid model. Unlike the Ford Expedition, Dodge Durango and Nissan Armada, none of GM's full-size SUVs feature a fold-flat third-row seat. The rear-most seat is removable in two 50-pound sections, but for anyone that's grown accustomed to the convenience of a fold-flat third row, this could be the Yukon's deal-breaker. New for 2010 is OnStar 8.2 with long range remote start and traffic control, a center console-mounted USB port and enhanced battery charging for some handheld devices. Under the Yukon's hood, the 5.3-liter V8 is now E85-compatible, while the big Yukon Denali's 6.2-liter V8 gains Active Fuel Management cylinder deactivation. Other mechanical changes include a new 3.08 rear axle on Denali for improved fuel economy and an available two-speed transfer case on four-wheel-drive models. With a stiff, fully-boxed frame, revised suspension and greatly improved steering and braking characteristics, the 2010 GMC Yukon is by far the best handling full-size SUV ever to wear a GMC badge. It responds with confidence to both the driver and the road while also providing more accurate feedback. Crisp and alert around town (for a tall SUV weighing well over 2.5 tons, of course), comfortable and stable on the highway, the latest Yukon provides the driver a level of confidence unapproached by its predecessors – an experience good enough to qualify GMC's newest full-size SUV as one of the category's best. The 2010 GMC Yukon's interior can be configured with any number of seating positions from six to nine, with each row available in two- or three-passenger layouts. Other seating options include leather, first-row heated seats and power fold-and-flip second-row seats (all standard on the Denali). Getting past the seats, the Yukon's passenger cabin is so attractive, comfortable and refined as to make the previous-generation's cabin feel downright old-fashioned. Where lower-cost materials still exist, they aren't as conspicuous as in the past. Again, the vehicle's weakest link in some people's eyes will be the lack of a fold-flat rear seat. The 2010 GMC Yukon and Chevrolet Tahoe are most differentiated up front, with each sporting its own grille, hood, fascia and headlights. The variation continues down the sides and to the back with unique trim, wheels and taillamps. Yukon Denali models are further distinguished by a signature perforated grille, modified headlights and taillamps, revised front and rear fascias, distinctive 18-inch wheels (with unique 20-inchers available), chrome-accented side moldings and unique side steps. A base Yukon features a six-speed automatic transmission, two-wheel drive and a 5.3-liter V8 engine. Other standard features include manual dual-zone air conditioning, power windows, power door locks, power heated mirrors, eight-speaker AM/FM/CD-MP3 sound system with auxiliary audio input, OnStar, cruise control, Driver Information Center, auto-dimming rearview mirror with compass and outside temperature display, height-adjustable steering wheel and a cloth interior featuring a 40/20/40-split bench up front (with power driver's portion), a 60/40-split bench in the middle row and a third-row seat. Outside, a base Yukon is equipped with 17-inch aluminum wheels and a tow package. Standard safety equipment includes driver and front-passenger airbags, three-row head-curtain airbags, electronic stability control with rollover mitigation, tire-pressure-monitoring system and Antilock Braking System (ABS). The Yukon Denali's exclusive powertrain consists of a 6.2-liter V8, six-speed automatic transmission and an available full-time all-wheel-drive system. Optional equipment that's standard on Denali includes a power liftgate, power fold-and-flip second-row seats, ultrasonic rear parking assist (standard on SLT), power-adjustable pedals, upgraded audio system, automatic climate control, active damping system and power-folding exterior mirrors. Optional even on Denali are a rearview camera, power-retractable side steps, navigation system, rear-seat DVD entertainment system, 20-inch wheels, heated and cooled front seats, power-adjustable steering column and a power sunroof. The Yukon powertrain lineup consists of two V8 engines, a six-speed automatic transmission with tap-up/tap-down gear selection, plus two-, four- and all-wheel drive. A Flex-Fuel version of the 5.3-liter V8 performs almost identically to last year's gasoline-only 5.3-liter engine but will also run on E85 ethanol – a "biofuel" produced in part using renewable materials like corn. Both the 5.3- and 6.2-liter engines feature cylinder-deactivation technology that imperceptibly "turns off" four cylinders under light loads and helps the Yukon achieve what GM claims to be the best fuel economy in the category. Maximum towing capacity on four-wheel-drive models is 8,200 pounds. The 2010 GMC Yukon's Manufacturer's Suggested Retail Price (MSRP) starts close to $40,000 and can run as high as $60,000 for a fully-loaded Yukon SLT. The well-equipped Yukon Denali starts closer to $54,000 and will creep within spitting distance of the $65,000 mark when outfitted with all the options. Our Fair Purchase Prices, which have real-world transaction prices for the entire lineup, are at or very near MSRP. Base Fair Purchase Prices for competitors like the 2010 Ford Expedition,Toyota Sequoia and Nissan Armada range from the low to mid-$30K range. Be sure to check the Fair Purchase Prices to see what Yukons are currently selling for in your area. 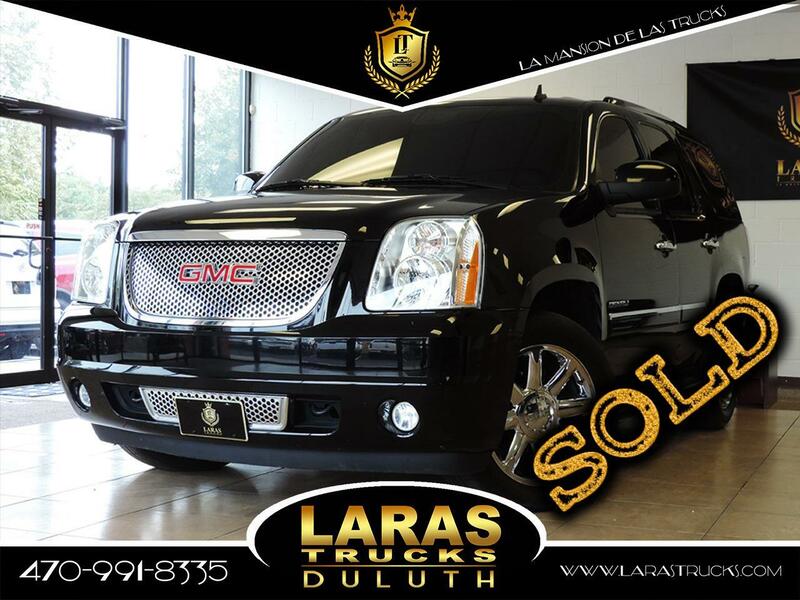 As for resale value, we expect the 2010 GMC Yukon to hold its value as well or better than nearly anything else in the category, with the Sequoia being the sole exception.